I am currently very inspired by the circular end caps inside the Large Hadron Collider. They are vast, complex and surprisingly colourful. 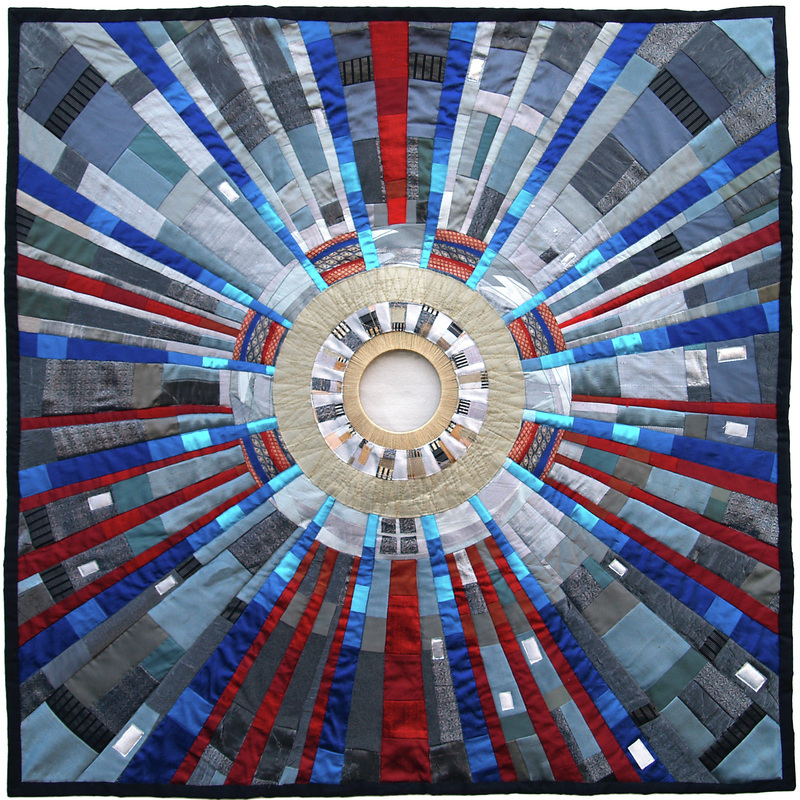 The scientists working on this project are still waiting for their 'breakthrough', which is why I decided not to pierce a hole in the centre of my quilt, which is covered in metal gauze. I have used silks and synthetics which reflect the light and give a metallic quality to my quilt.